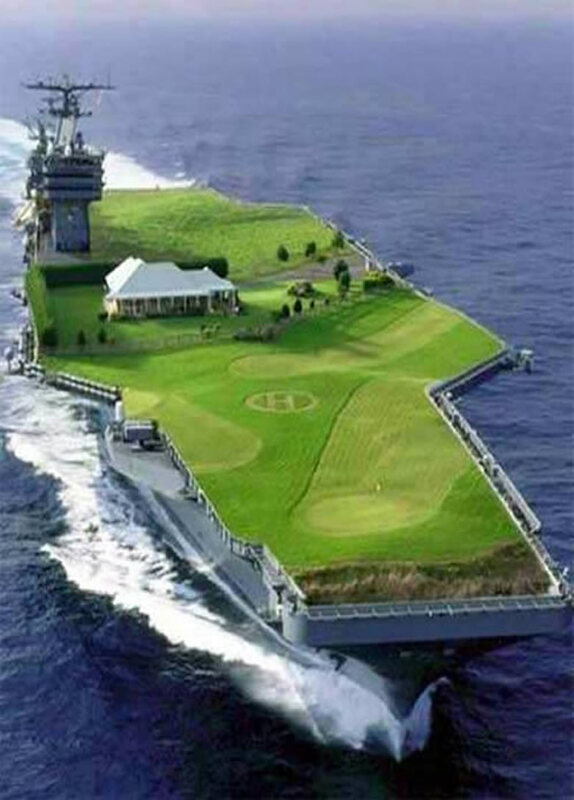 Aircraft carriers provide a wide range of possible response for the National Command Authority. To provide a credible, sustainable, independent forward presence and conventional deterrence in peacetime. To operate as the cornerstone of joint/allied maritime expeditionary forces in times of crisis. To operate and support aircraft attacks on enemies, protect forces and engage in sustained independent operations in war. Features: The aircraft carrier continues to be the centerpiece of the forces necessary for forward presence. Whenever there has been a crisis, the first question has been: "Where are the carriers?" 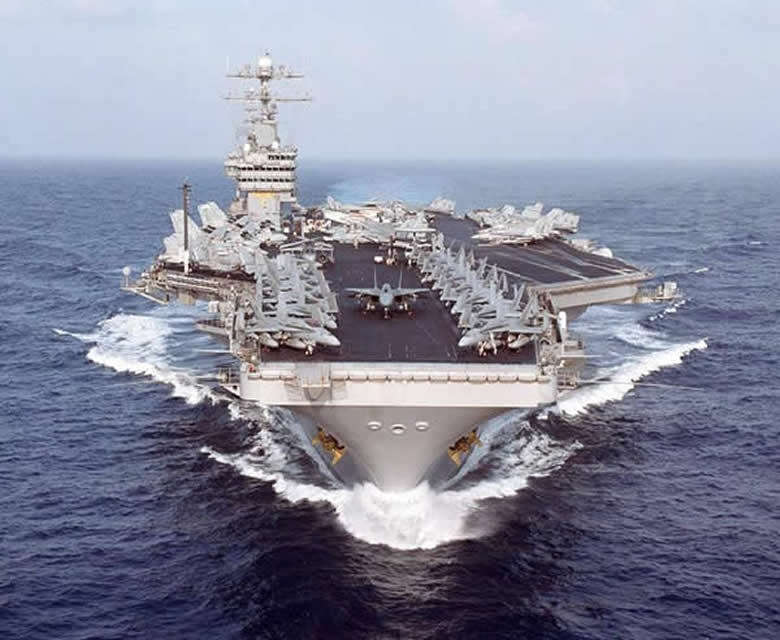 Carriers support and operate aircraft that engage in attacks on airborne, afloat, and ashore targets that threaten free use of the sea; and engage in sustained operations in support of other forces. Aircraft carriers are deployed worldwide in support of U.S. interests and commitments. They can respond to global crises in ways ranging from peacetime presence to full-scale war. Together with their on-board air wings, the carriers have vital roles across the full spectrum of conflict. 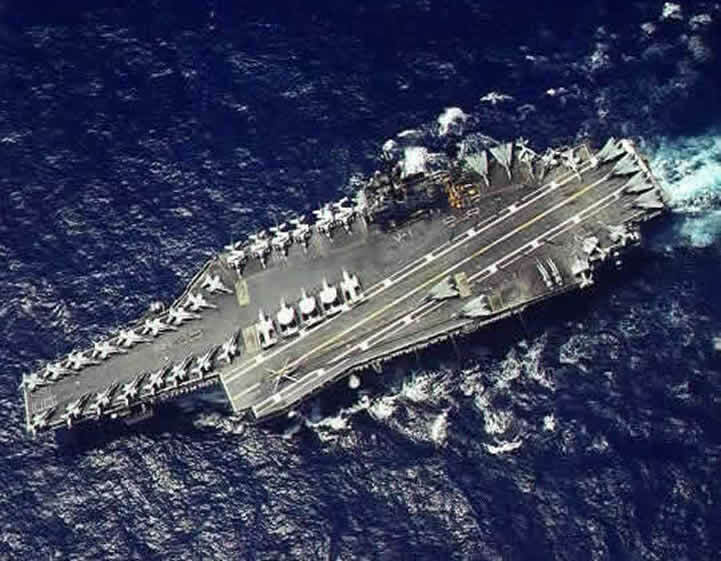 The Nimitz-class carriers, eight operational and two under construction, are the largest warships in the world. 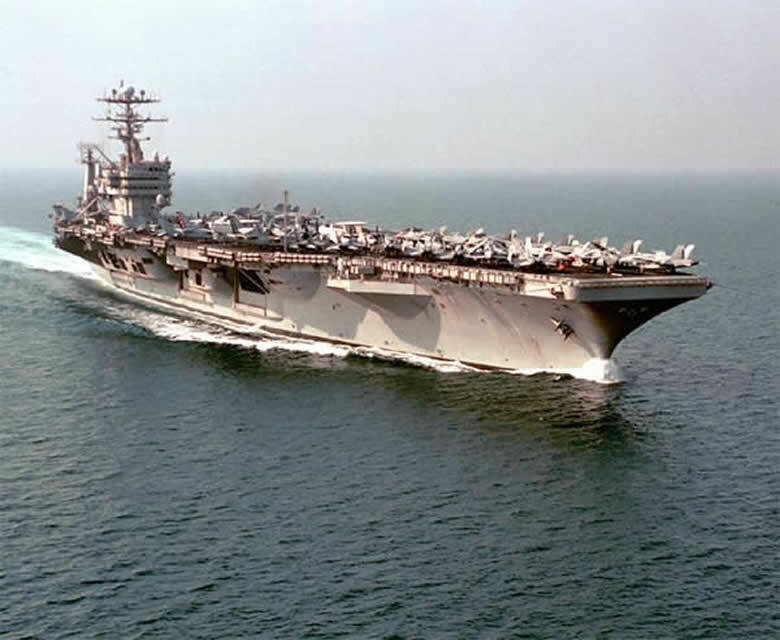 USS Nimitz (CVN 68) was the first to undergo its initial refueling during a 33-month Refueling Complex Overhaul at Newport News Shipbuilding in Newport News, Va., in 1998. 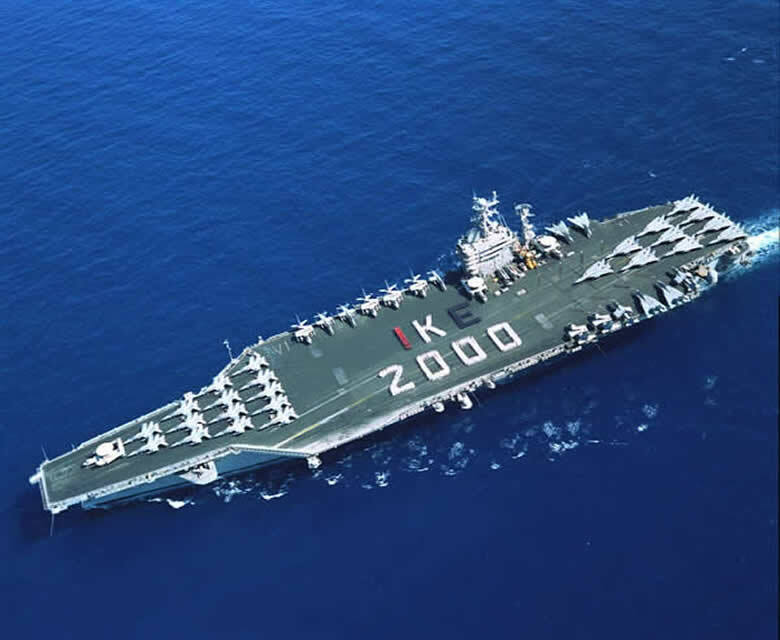 The next generation of carrier, CVN 21, the hull number will be CVN 78, is programmed to start construction in 2007 and is slated to be placed in commission in 2014 to replace USS Enterprise (CVN 65) which will be over its 50-year mark. 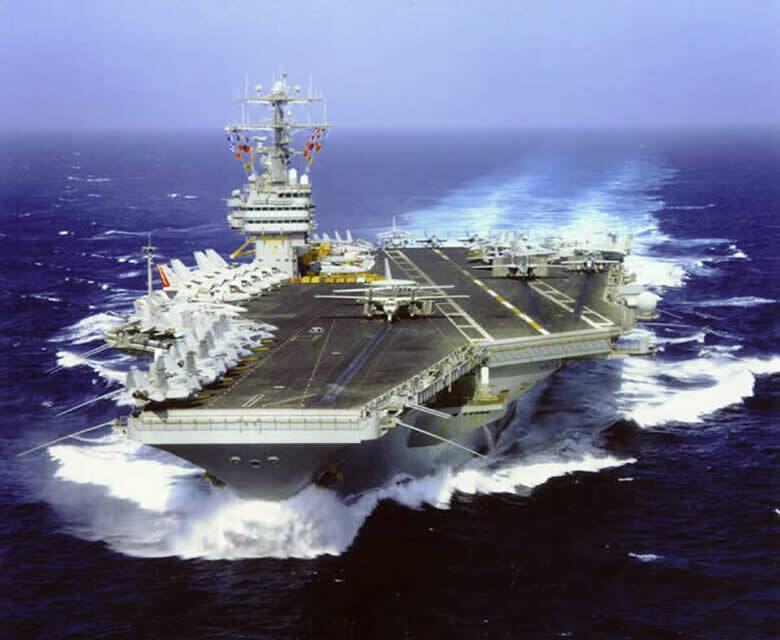 CVN 79 is programmed to begin construction in 2012 and to be placed in commission in 2018. USS Nimitz (CVN 68), San Diego, Calif.
USS Dwight D. Eisenhower (CVN 69), Norfolk, Va.
USS John C. Stennis (CVN 74), Bremerton, Wash.
Builders: Newport News Shipbuilding Co., Newport News, Va.
Ship:USS Enterprise (CVN 65), Norfolk, Va.
Builders: Newport News Shipbuilding, Newport News, Va.
Ship: USS John F. Kennedy (CV 67); Mayport, Fla.
Builders: New York Ship Building Corp., Camden, N.J.
Power Plant: Eight boilers, four geared steam turbines, four shafts, 280,000 shaft horsepower.